Hawaiʻi’s uniqueness lies in its native culture and its inclusion of the diverse ethnic cultures that have embraced the Hawaiian value of “aloha”. For over a decade, the Institute has sponsored Hawaiian studies classes for elementary and middle school students. 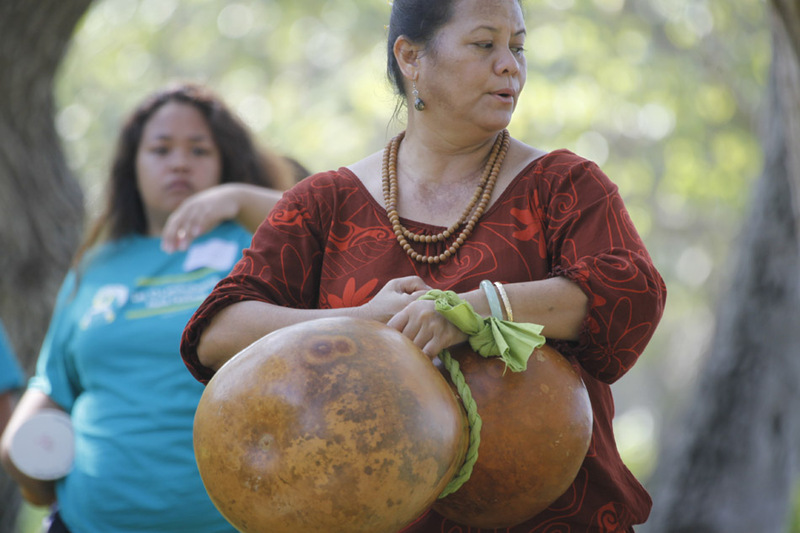 The Institue has since expanded its programs to include the Lei ʻO Lanikūhonua Hula Festival for high school students and the Mele & Hula at Lanikūhonua summer concert series. 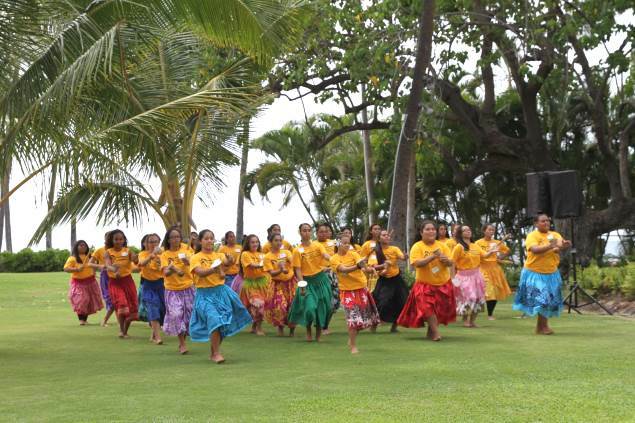 Open to the public, the Mele & Hula at Lanikūhonua summer concert series features island music and dance. Hawaiʻi’s uniqueness is dependent on perpetuating its native identity and culture. Place breathes life, people, culture, and spirit. 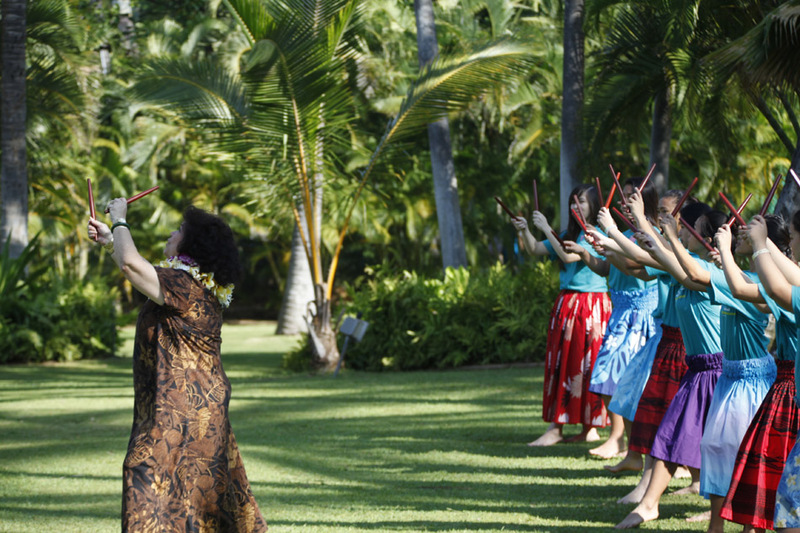 It’s an annual hula festival unlike any other. A gift of hula masters coming together to share their knowledge with high school-age hula students in a one-day celebration of Hawaiian culture and dance. Since its debut in 2007, the Lei ʻO Lanikūhonua Hula Festival has grown in stature and popularity. In 2010, the Festival drew more than 90 students from ten (10) public and private schools. By 2014, that number had tripled to 279 students. This year’s event, an estimated 500 students will be participating in the Festival. In partnership with Ulu Aʻe Learning Center, this program engages students in a Hawaiian culture hands-on learning experience. This half-day experience introduces local youth to traditional Hawaiian knowledge, language, placenames, music and art, and cultural practices. Open to the public, as the newest program, Luana Hawaii provides hands-on opportunities to experience unique aspects of Hawaiian culture and develop an appreciation of the role each of the practices played in Hawaiian life. Led by cultural practioners Kimo Alama Keaulana and Mikiʻala Lidstone, the program provides meaningful and fun learning experiences for the whole family. Experience the uniqueness and beauty of the Culture of Hawai’i through our upcoming events.